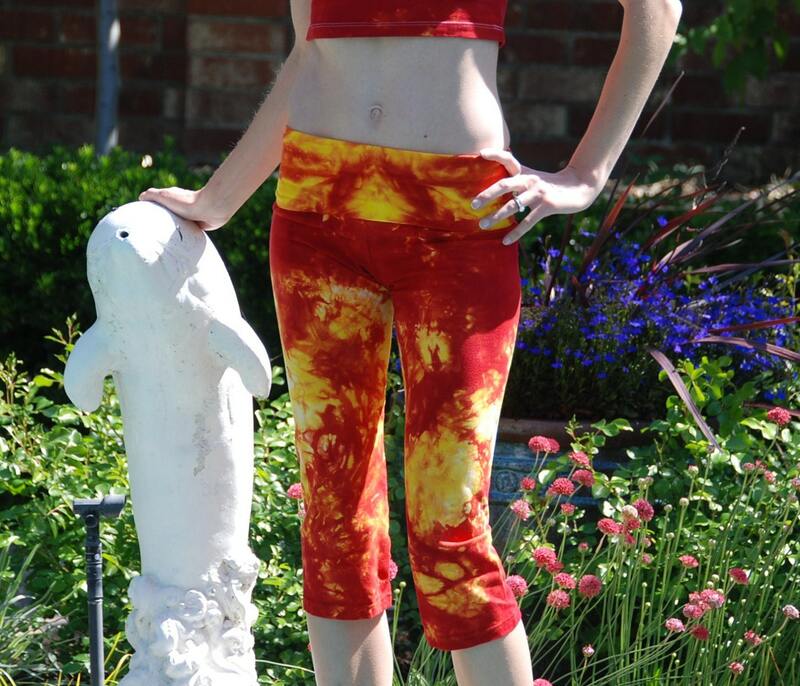 An eye catching bold combination of red and yellow make this legging a super fun choice. Reds and yellows blended together create a gorgeous orange where the colors overlap. 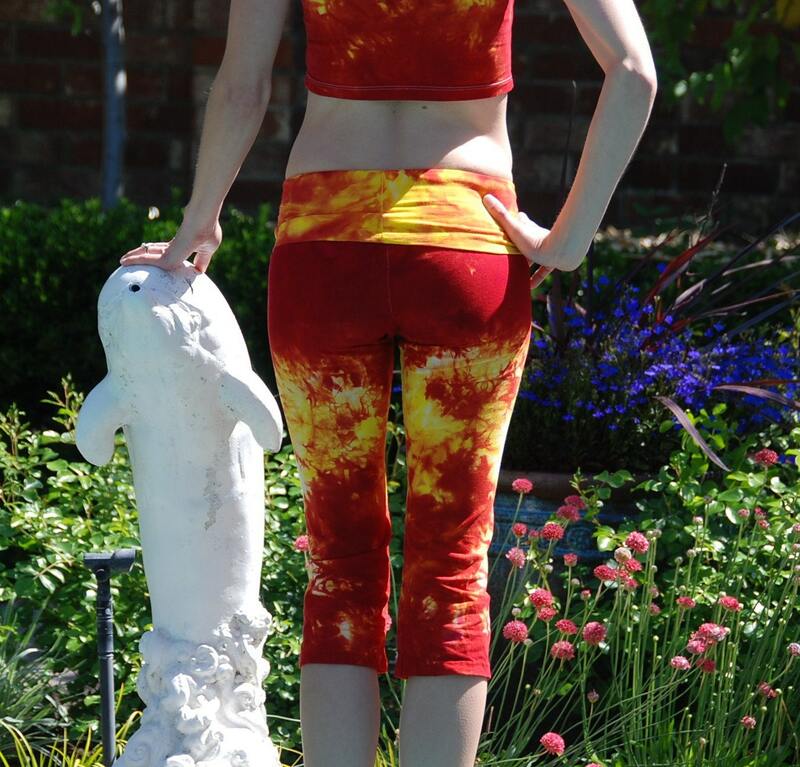 Fold-over waist and fitted at the calf. Lots of stretch for maximum mobility.